We enjoy wine and are avid recyclers, yet in our part of the country glass recycling is difficult or non existent. I bought a kiln from a friend who was moving, what better way to try it out than melting bottles instead of sending them to a landfill! 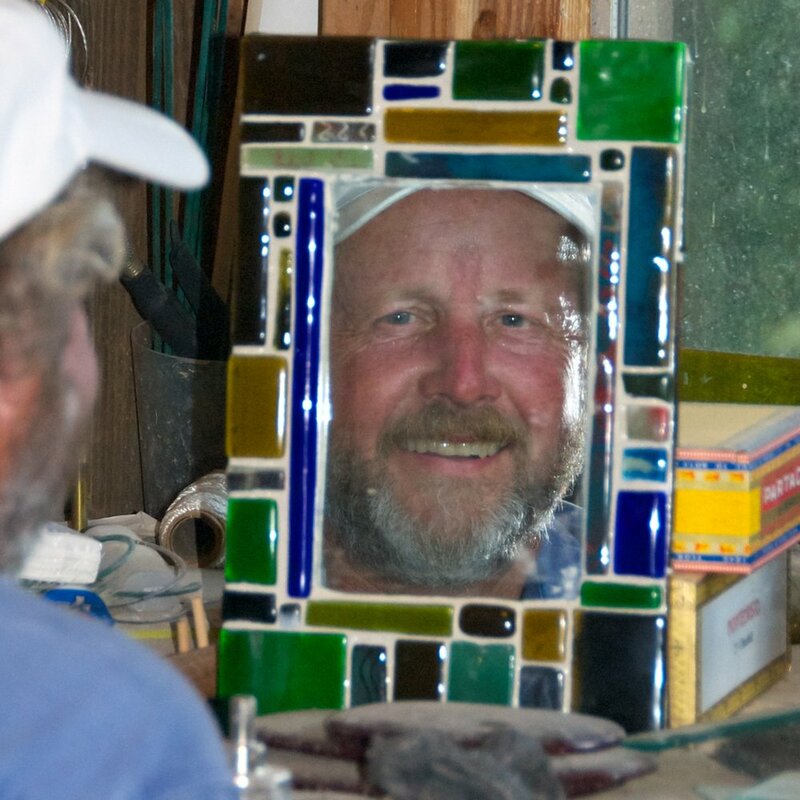 Wanting to do something different than "cheese boards," I learned how to cut, drill, shape and color the glass making it into an array of items from pendants and earrings to wine chimes, wall tiles, mosaic mirrors. Art From Empties...Wine bottles offer an array of beautiful colors and are a good thickness. After soaking and scrubbing labels off, bottles are cut and melted into "slabs" of glass or cut into rings and melted. The slabs are cut into smaller pieces for use as pendants, earrings, chime parts, and mosaic tile pieces. All of the cold work is done with a tile saw and/or a drill press, the hot work is done in a kiln. 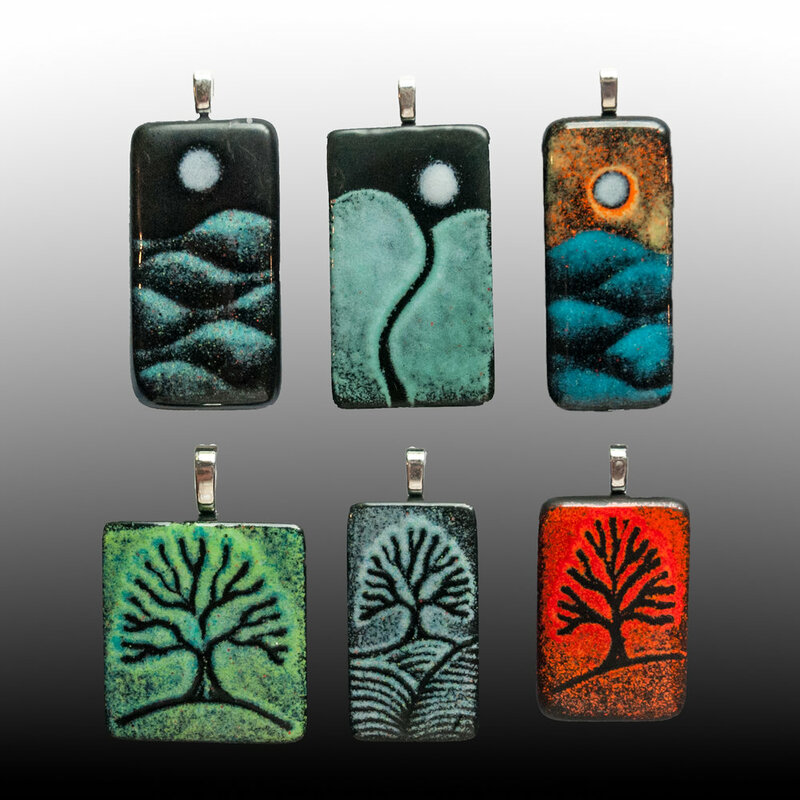 Powdered enamels are utilized to add colors, designs are sketched into the powders before firing. Wine bottles have long been used for a variety of art projects, but I believe I am the only person doing what I do, so I learned and developed and improved my methods along the way! I've taught classes on my unique methods at John C. Campbell Folk School for 6 years.